The three most common forms of skin cancer are malignant melanoma, squamous cell carcinoma and basal cell carcinoma. All three can be caused by the sun’s ultraviolet rays that damage the skin’s cells so that they begin to divide uncontrollably. Here are some high quality skin cancer pictures and links if you would like to see even more pictures and read about the common symptoms. Malignant melanoma (MM) occurs in the skin’s pigment cells and is usually due to the fact that you have burned yourself in the sun several times. 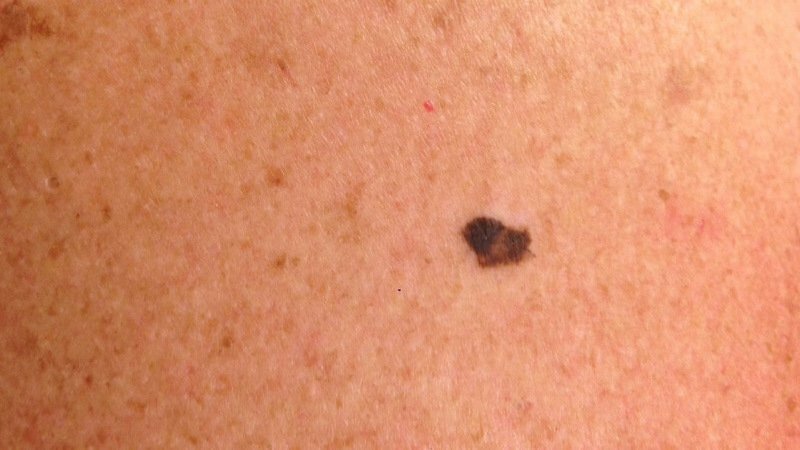 Malignant melanoma can be formed anywhere on the body, but is most common on the legs, chest and back. The cancer sometimes arises in common nevi, which are also called birthmarks or liver spots. The cancer cells can spread to other places in the body if you have not received treatment. Malignant melanoma is rare before puberty and unusual during adolescence. I am a 65 year old male. Dark mole left side of back. No symptoms. Wife concerned that it might have gotten bigger. Thank you for sending your case. Based on the information and images, this is possibly a MALIGNANT MELANOMA: Melanoma is a type of skin cancer usually caused by excessive sun exposure, especially a history of sunburn(s). The pigmented lesion seen in the images is larger than most benign moles and also shows an irregular shape and multiple colors. Nevertheless, it is hard to be sure. It could also be a benign so-called seborrhoeic keratosis(benign wart). In any case, an urgent visit to a see a dermatologist for closer examination. I recommend that you store these images with this answer and bring them with you. Squamous cell carcinoma (SCC) can appear if you have been a lot in the sun during your life,-time even if you have not been sunburned. The cancer is usually formed like a blemish, for example on the face, on the top of your hand or the bare part of the scalp. There are several different treatments if you have precursors to squamous cell carcinoma. 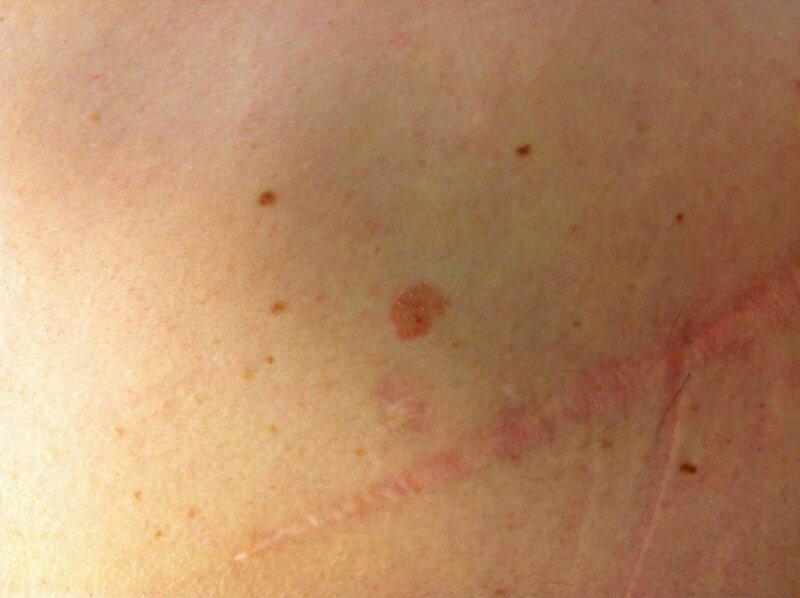 Invasive squamous cell carcinoma must be removed with surgery because it may spread to other organs. Squamous cell carcinoma is unusual before 40 years of age. I am a 34 year old man. The mole pictured is firm to the touch, and appears crusty. It has grown to slightly larger than an eraser head. It is located on the back of my left leg. Thank you for sending your case. Based on the information and images, this is possibly a SQUAMOUS CELL CARCINOMA. This may also represent a seborrheic keratosis. Squamous cell carcinoma is a common type of skin cancer that often develops in sun-exposed areas. It grows locally for a long time before in rare cases it spreads to lymph nodes and distant sites. A biopsy may be necessary prior to treatment. I recommend that you see a dermatologist in order to confirm (or rule out) the assessment and discuss the most appropriate treatment option in your particular case. I hope this has been helpful. Basal cell carcinoma (BCC), or basalioma, is usually located on the face or upper body. The cancer usually does not spread to other parts of the body, but the cancerous tumors can grow and destroy healthy tissue in the vicinity. Therefore, basal cell carcinoma always has to be treated.  There are different types of basal cell carcinoma that differ by the way of growing, the appearance and how deep down the skin cancer is found. There is a clear correlation between sun radiation and basal cell carcinoma, but heredity and other risk factors can also play a role. Basal cell carcinoma is unusual before 40 years of age. I am 57 year old male. As you can see on the photo of my arm. I noticed it about a month ago, but thought I had bumped my arm. But it doesn’t seem to be going away. Took a couple pictures last night and obviously I’m concerned. Thank you for sending your case. 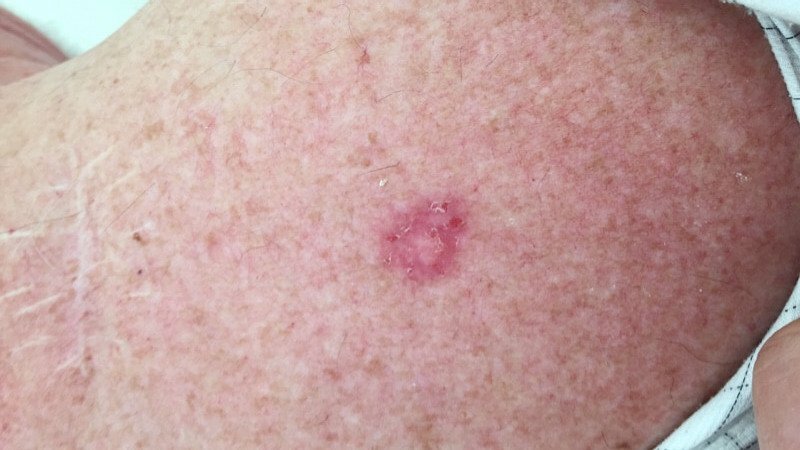 Based on the information and images of your arm, this is possibly a BASAL CELL CARCINOMA. Basal cell carcinoma is a very common skin tumor caused by excessive sun exposure. 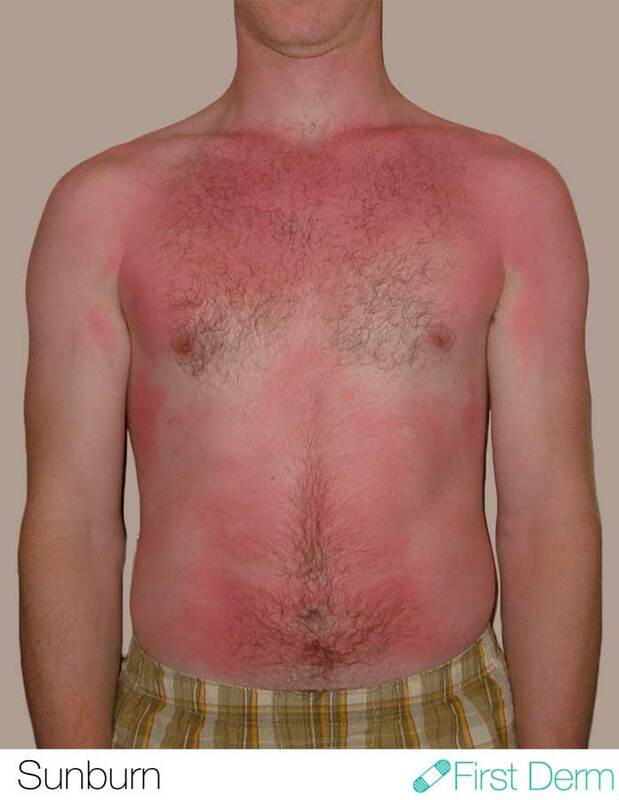 Fortunately, this type of skin cancer only grows in the skin and does not spread to other organs. Nevertheless, other assessments can also be considered. I recommend that you see a dermatologist in order to confirm the assessment and discuss the most appropriate treatment option in your particular case. A biopsy may be necessary prior to treatment. I hope this has been helpful.